The answer to the first question is often subjective, because the “best” language to learn first (you’ll likely learn many throughout your career) depends on your goals and preferences. A backend language might seem like the best language to learn because of its high salary or popularity, but it probably isn’t the right choice if you want to primarily work on app interfaces. In this blog series, we’re sharing the benefits, salaries, career potential, and resources for learning each language in our advanced Code 401 series. Today, let’s talk about Swift and Objective-C, the two languages of iOS developers. Plus, mobile developers have a front seat to work with emerging technologies, building apps not only for smartphones and tablets, but also smart watches, smart TVs, the Internet of Things, and virtual and augmented reality. Just like websites and social media, mobile apps are on the list of customer-facing access points that business are expected to have—and do well. 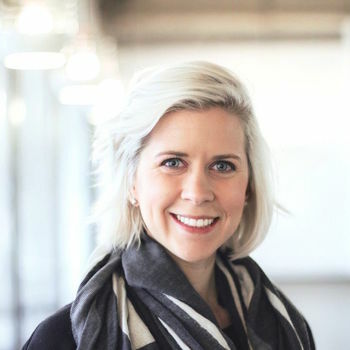 Whether they focus on mobile-only (like SnapChat or Instagram) or need a mobile app that supports their main business (think banks, department stores, social media platforms, and more), business are realizing that if they want to reach customers where they’re at—often on the go—they need a mobile app. Apps help business processes too, and companies are using mobile software to improve internal functions, from accelerating employee training time to improving team communication. With the shift towards more mobile devices (last year, 68 percent of U.S. adults had a smartphone, almost doubling since 2011), the demand for mobile app developers will only go up. 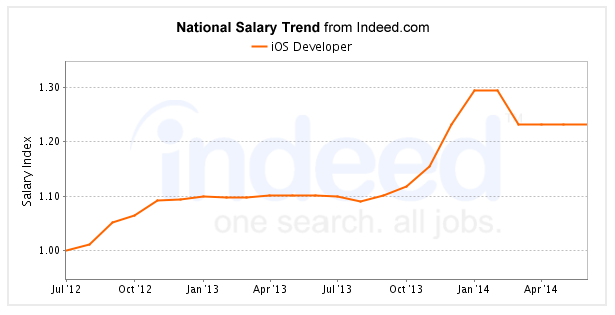 Just like job titles, the salaries of iOS developers depend on several factors. According to Indeed, salaries have been on the rise and the average salary for an iOS developer across the U.S. is $101,000. If you’re an aspiring iOS developer, it’s important to understand both Swift and Objective-C. Knowing both will make you more marketable in the industry and give you a much better understanding of the iOS development ecosystem. Below are our top recommended resources for programmers who want to expand to iOS development. One of the longest-standing classes at Code Fellows is Code 401: Advanced Software Development in iOS. If you’re looking for a straight, fast path to updating your programming skill set or expanding to a new language, our 10-week mobile development class teaches best practices and standards that mobile developers are expected to know, such as the changes in new versions of Swift and how to work with existing code bases. You will spend four weeks focusing on Swift, and another four weeks learning Objective-C. During two full weeks of development sprints, you will get to create portfolio-building mobile apps, work in a professional development environment with a team, and master the intricacies of successfully submitting a new app to the Apple App Store. Throughout the class, you will work with primary and supporting tools and technology, such as Xcode and JSON. So why learn iOS development? If you’re intrigued by new technology, interface design, and the potential for wearable tech and new devices, then you should seriously consider a career as an iOS developer.